Fall is here. Thanksgiving is just 2 short weeks away. The holiday season is a time to spend with friends and family. For your next social gathering or private party, be sure to include great tasting cocktails. Food and spirits and make or break a party. Plan ahead and have a successful event. Cruzan Rum is a delicious tasting rum. Top mixologists have created amazing rum cocktails using Cruzan Rum. 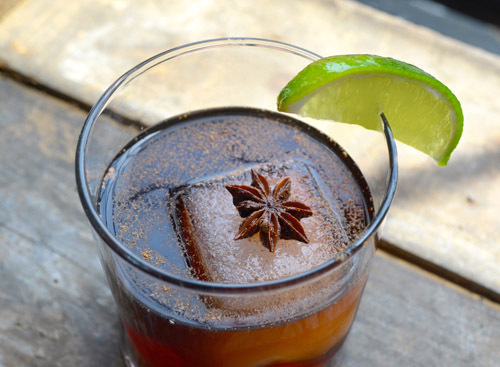 In addition to rum, each drink recipe includes fantastic, seasonal flavors. A few include – molasses-rich black strap rum, cider, honey and nutmeg. Here are two cocktail recipes with Cruzan rum you and try out and serve at your next party. These were created by Tiffanie Barriere in Atlanta, Georgia. Method: Combine all ingredients in a cocktail shaker over ice and shake well. Pour into a rocks or tiki glass over fresh crushed ice. Garnish with nutmeg. *Honey Syrup: Combine equal parts honey and warm water. Shake/Stir to dissolve. Method: Combine Black Strap, falernum syrup and fresh lime juice in a mixing glass. Pour cider into a rocks glass and slowly float mixture over top of the cider. Finish with fresh grated nutmeg and a lime or orange peel. Sharing recipes for great tasting cocktails is a wonderful way to experiment and try new libations. Whether it’s a quiet drink after dinner or serving drinks for a large social event, be sure to offer the best. In addition, try a cocktail during your Thanksgiving dinner. Live a VIP lifestyle and celebrate life. Did you enjoy reading about these great tasting cocktails from Criuzan Rum. Our luxury blog is always reporting on the best news in the luxury industry. Come back soon!